In the decade after the bequest that English scientist, James Smithson, left to the United States in 1829, the U.S. Congress debated how to use his generous gift. Senators Rufus Choate and George Perkins Marsh argued for the creation of a great national library. Others argued for a national university or national museum. When the Smithsonian was founded on August 10, 1846, the legislation provided for a building to house a museum with geological and mineralogical cabinets, a chemical laboratory, a gallery of art, lecture rooms, and a library. The Smithsonian’s enabling act provided that both the new Institution and the Library of Congress were given copyright deposit status. The Smithsonian Board of Regents selected American physicist Joseph Henry as the first Secretary of the fledgling enterprise, and directed Henry to hire Charles Coffin Jewett, a noted librarian at Brown University, as the first Assistant Secretary in charge of the library. Henry preferred to use the bequest to support basic scientific research, arguing that a library’s impact would only be local. Though Henry supported Jewett's plans for creating a centralized bibliographic service and for surveying the nation's libraries, the two clashed over the size and contents of a library, since Henry feared that the costs of the library would consume the income from the Smithson fund. In 1855, following a very public dispute, Henry fired Jewett, and copyright deposit status for the Smithsonian library ended three years later. 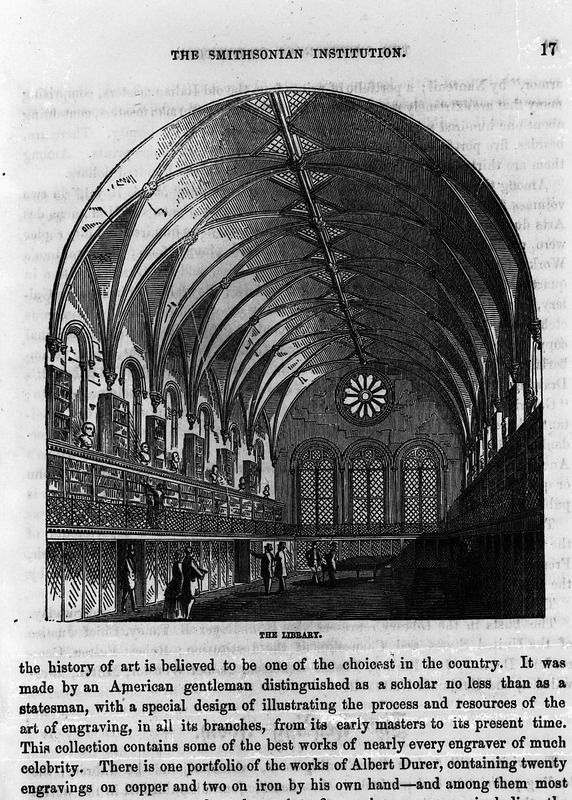 In 1866, following two damaging fires in the Smithsonian Institution Building, The Castle, Henry negotiated with the Joint Committee on the Library of Congress to move the Smithsonian's library, by then one of the largest in the nation with forty thousand volumes. 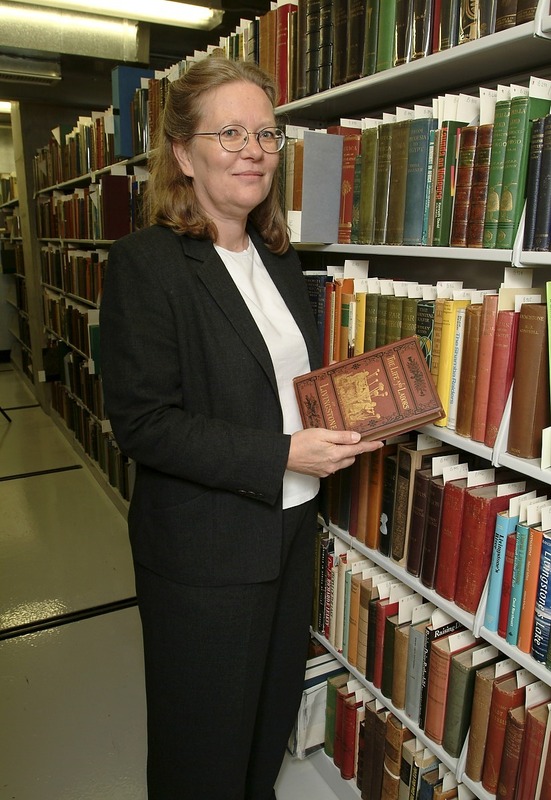 A decision was made to name the library holdings the “Smithsonian Deposit,” and move them to the Library of Congress, with the Smithsonian retaining ownership of the books. As the collection grew to nearly six hundred thousand volumes by 1950, the Library of Congress found it increasingly difficult to maintain. In 1953, Smithsonian Secretary Leonard Carmichael agreed to Librarian of Congress Luther Evans's request to integrate the Smithsonian Deposit volumes into the Library of Congress’s collections. Although the Smithsonian gave up control of the Deposit, it never officially relinquished ownership. Today, the Smithsonian regularly borrows volumes from the Deposit, as well as other books, at the Library of Congress. In addition to the Smithsonian Deposit, the Smithsonian also created an additional library. This library emerged after Henry's death in 1878, when Assistant Secretary Spencer Fullerton Baird was named Secretary. 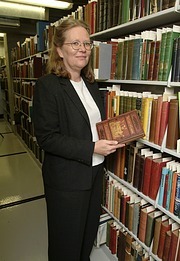 Baird understood the curators’ needs to have books and journals in close proximity to specimen and artifact collections. Overcrowded conditions in the Library of Congress made retrieval of Deposit volumes extremely difficult. After the Smithsonian's U.S. National Museum (now the Arts and Industries Building) opened in 1881, Baird donated his extensive personal library to establish the U.S. National Museum Library. 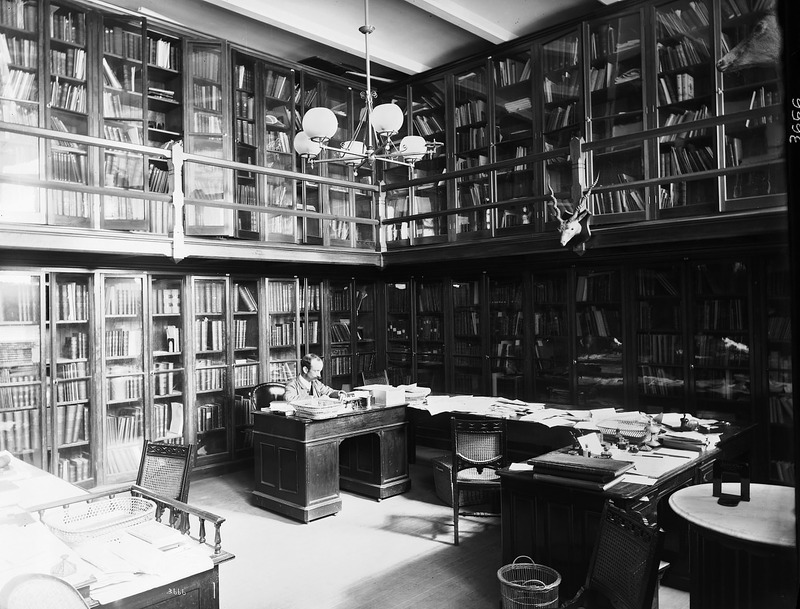 Smithsonian library collections were never housed centrally, but rather included a central reference section and thirteen topical libraries in curatorial areas. Today there are thirty-five such local libraries. 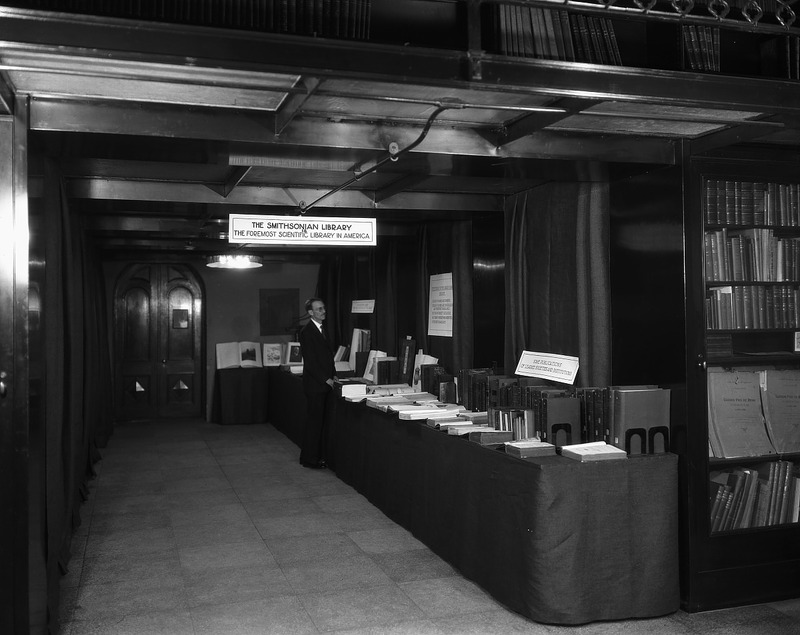 By 1964, the libraries contained over 430,000 volumes in nearly eighty locations spread throughout the Smithsonian, in seven cities. When Secretary S. Dillon Ripley assumed office in 1964, he reorganized the network of sectional libraries under a central Smithsonian Institution Libraries. Over the next decade, the library staff was reorganized, the books were consolidated, and automated access to collections was developed, creating a unified system with central support services and a union catalog. In the 1980s, new museums and collections were acquired by the Institution, with new topical libraries covering the fields of African art, philately and postal history, and Native Americans. 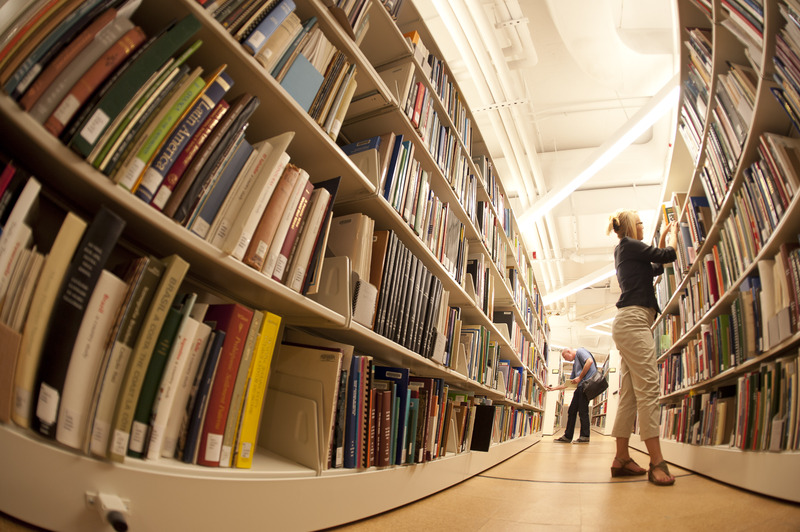 With a gift of ten thousand scientific rare books and manuscripts from the Burndy Library in 1976, the Smithsonian created the Dibner Library of the History of Science and Technology. In 2002, the Joseph F. Cullman 3rd Library of Natural History became the second largest rare book repository when it opened in the National Museum of Natural History. 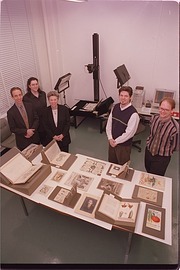 While the Smithsonian Libraries' primary mission is to support the research and information needs of Smithsonian staff, in the 1990s the Libraries began to make its collections more visible and useful to a broader public, through automation and digitization via the Internet. The Libraries’ first online public access catalog went live in 1985. A New Media Office, organized in 2001, operates an imaging center that produces electronic editions of rare scientific works and other specialized collections for use on the web. Since 1991, the Libraries’ Exhibition Gallery has also featured volumes in thematic exhibitions open to the public. Today the Libraries consist of twenty branch libraries in Washington, D.C.; New York City; Edgewater and Suitland, Maryland; and the Republic of Panama, holding over 1.5 million volumes, as well as manuscripts, journals, and electronic media in natural history, history of science and technology, anthropology, philately and postal history, African and Asian art, American art and portraiture, aviation and space exploration, horticulture, decorative arts and design, tropical biology, museology, and Native American and African American history and culture. Special collections include forty thousand rare books, and large holdings in Worlds Fairs and International Expositions, Manufacturer's Trade Catalogs, and scientific manuscripts.